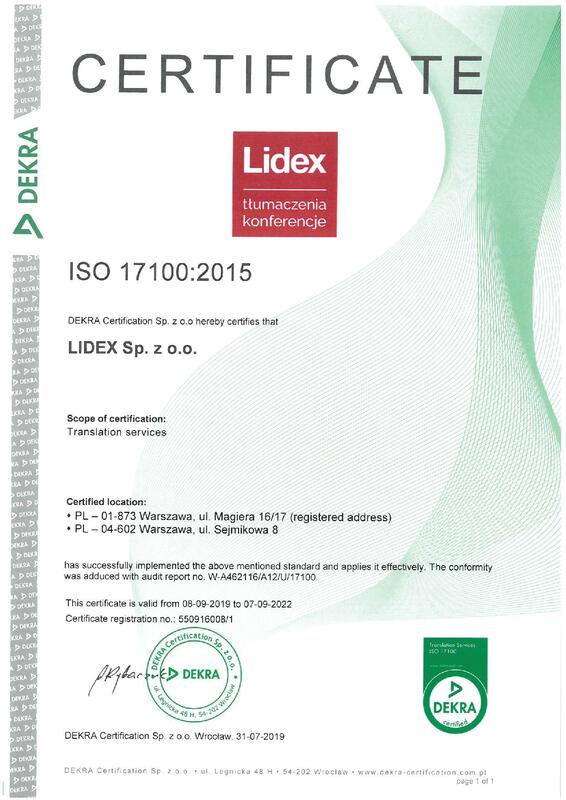 How did LIDEX manage to stay on top from the moment of its market debut in 1989? Our strength lies in a diverse Team, consisting of individuals adept in Customer service, accomplished analysts, IT specialists, database experts, graphic designers, DTP operators, editors, translators and interpreters, logistics specialists, financial experts as well as specialists in the field of lighting, sound systems and digital simultaneous interpretation solutions. Such broad, practical competences of our employees allow us to rapidly adjust to the shifting needs and expectations of our Customers. Those needs include translation and conference services as well as transmission, availability and security of data, etc. Our Team instantly responds to the specific needs of our Customers. 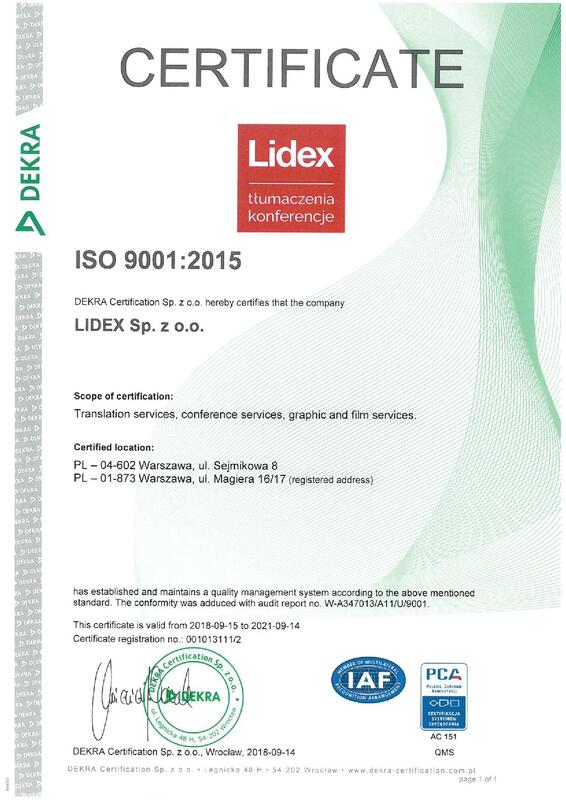 With this approach, LIDEX can constantly provide its Customers with services which no other translation companies are capable of delivering due to their complexity, short deadlines, scope of activities, required technical resources etc.). INVESTOR IN HUMAN CAPITAL LIDEX continues to invest in its Team; we won the Investor in Human Capital award in all five editions of the Programme. EMPLOYEE TRAINING Every new employee completes our proprietary induction training programme and takes a final exam. Then, each Team member may access our company Knowledge Base, with the activities of the entire Team being integrated using the ITis database system as well as the corporate intranet. 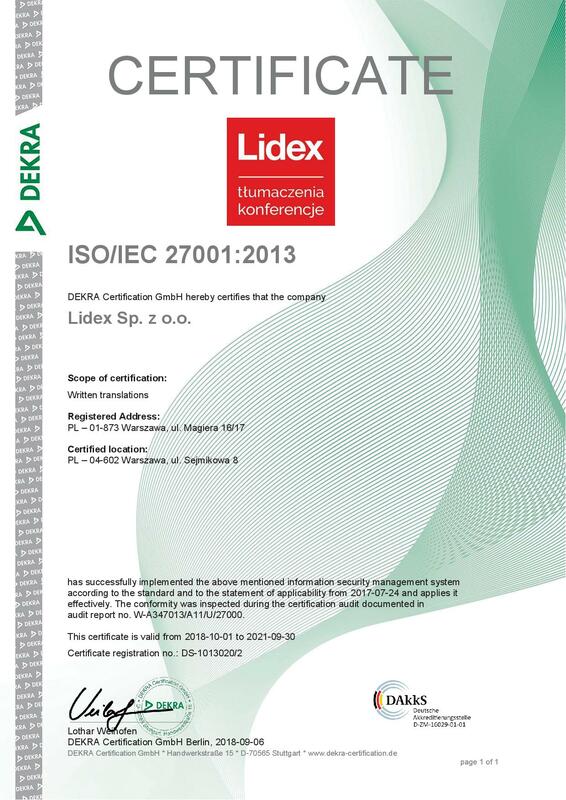 INTERNSHIPS AND WORK PLACEMENTS For more than 20 years, LIDEX has been organising internships and work placements for students of institutes of technology, faculties of linguistics and graphic design departments. The most gifted participants of these programmes are offered career opportunities.